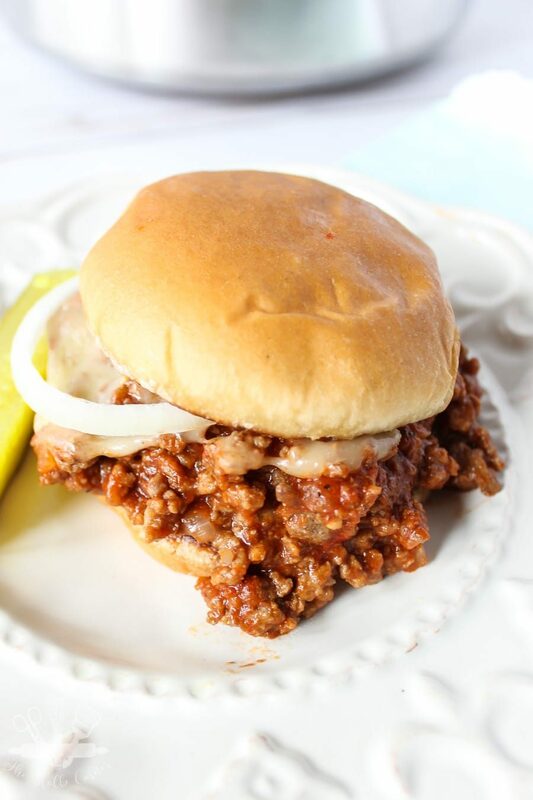 Homemade, delicious and easy to make, these sloppy joes are perfect for busy weeknights or for when you need to get dinner on the table fast. There’s only a few ingredients needed that you probably already have in your pantry plus very little prep and cook time. Really you can’t ask for an easier meal. Growing up I used to hate when my mom made sloppy joes. Only because of the simple fact that they were sloppy. It had absolutely nothing to do with the flavor, I just simply hated having it drip all over the place. As an adult though? I can totally appreciate all the reasons my mom would make these. They are cheap, they are fast, they are delicious, and they are easy to make. Are they sloppy? Yes. But I’m a much more careful eater as an adult. Ok, that statement might not be 100% truthful, considering over the weekend my husband and I went out to eat and I spilled tomatillo sauce all down my shirt. But as a general statement, I am less messy when I eat. 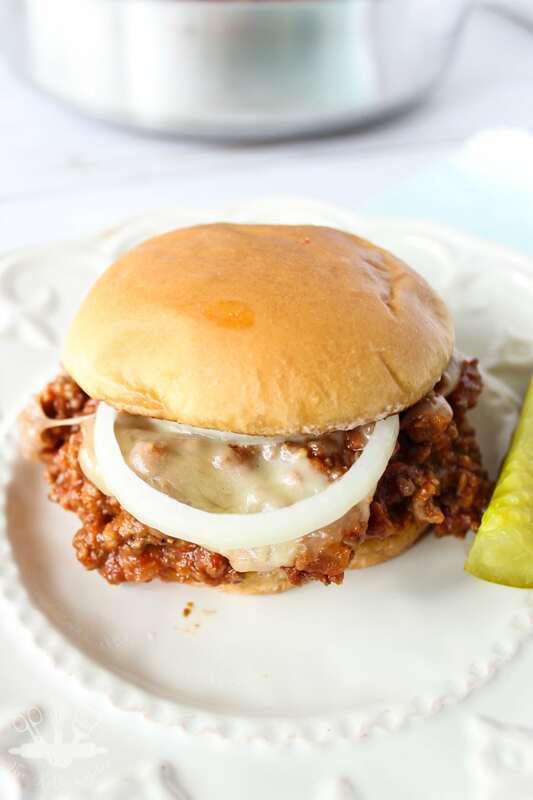 I will also admit, that up until a few years ago I truthfully had no idea that people made homemade sloppy joes. 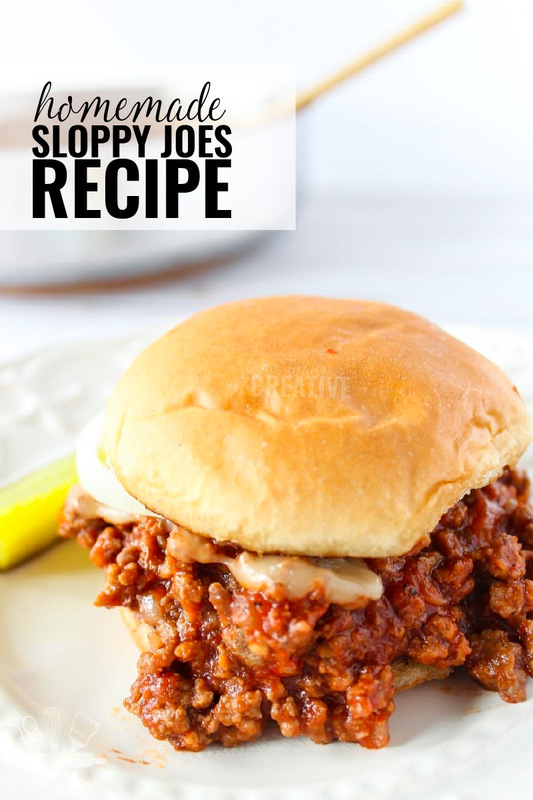 I always thought if you wanted sloppy joes, you had to buy the store bought sauce. NOT true. 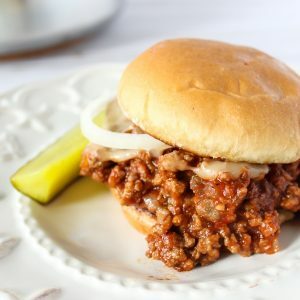 Actually homemade sloppy joes are even better than using the store bought stuff! 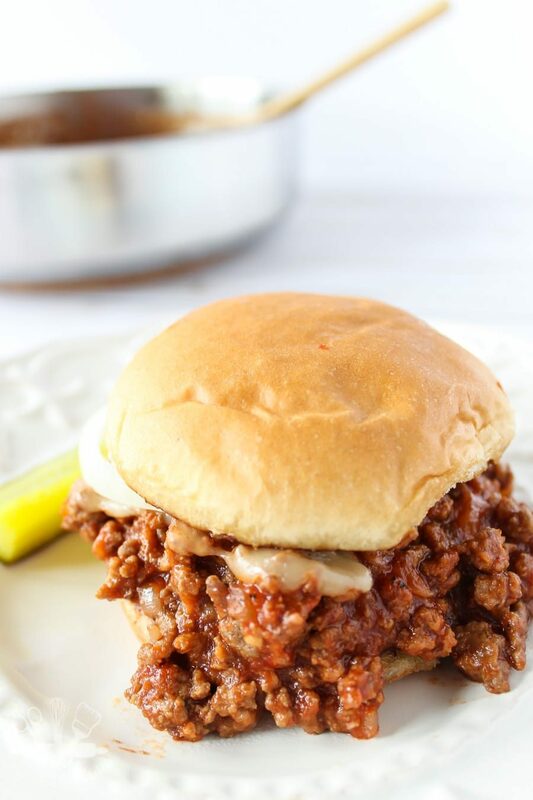 So I’m sharing my super simple recipe for homemade sloppy joes with you, and surprisingly you probably have every single ingredient already in your fridge and pantry. 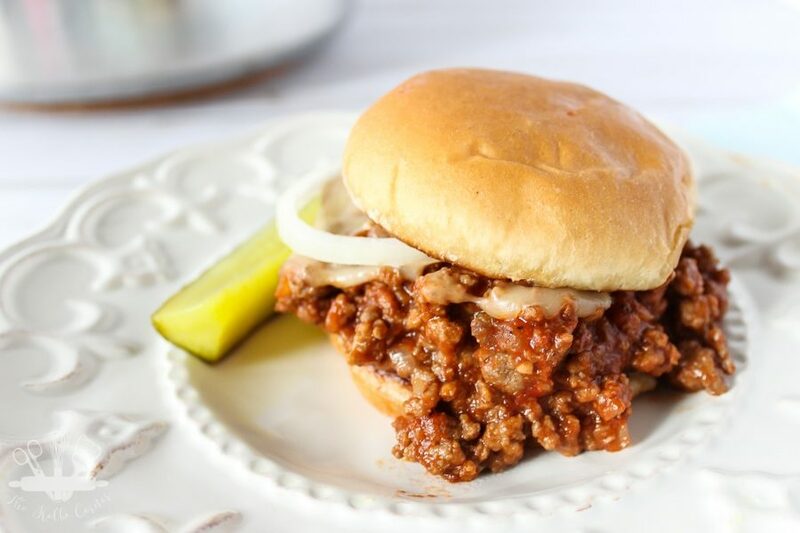 An easy homemade sloppy joe recipe that requires little prep and cook time. Perfect for busy weeknights! In a large saute pan, heat butter over medium low heat. Add ground beef, onion and garlic and cook until beef is completely cooked through. Drain off excess fat. While meat is cooking, whisk together tomato sauce, paste, brown sugar, Worcestershire sauce, yellow mustard and seasonings in a medium bowl. Pour mixture over meat and mix in well. Bring pan to a boil, then reduce heat and simmer for a few minutes until heated through. Serve with pickles, onion and cheese if desired on hamburger buns. I can totally relate to how you used to feel when you were younger. 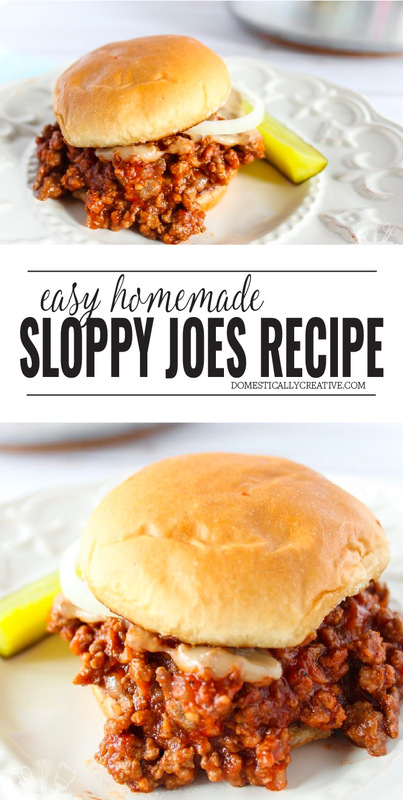 I was never a fan of sloppy joes until I had to make quick meals for the kids…lol. Will be including this in my MM recipe round-up this week.